January 24 is the 24th day of the year in the Gregorian calendar.There are 341 days remaining until the end of the year(342 in leap years). 1916 – In Brushaber v. Union Pacific Railroad Co. , the Supreme Court of the United States declares the federal income tax constitutional. AD 41 (XLI) was a common year starting on Sunday of the Julian calendar. 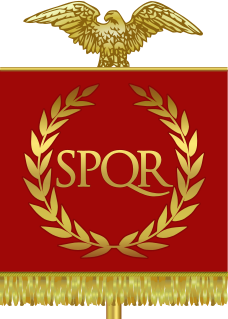 At the time, it was known as the Year of the Consulship of C. Caesar Augustus Germanicus and Cn. Sentius Saturninus. The denomination AD 41 for this year has been used since the early medieval period, when the Anno Domini calendar era became the prevalent method in Europe for naming years. Claudius was Roman emperor from AD 41 to 54. A member of the Julio-Claudian dynasty, he was the son of Drusus and Antonia Minor. He was born at Lugdunum in Gaul, the first Roman Emperor to be born outside Italy. 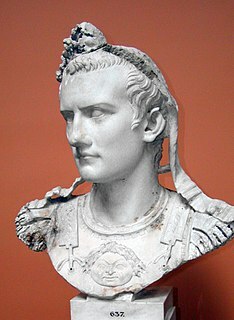 Because he was afflicted with a limp and slight deafness due to sickness at a young age, his family ostracized him and excluded him from public office until his consulship, shared with his nephew Caligula in 37. AD 76 (LXXVI) was a leap year starting on Monday of the Julian calendar. At the time, it was known as the Year of the Consulship of Titus and Vespasianus. The denomination AD 76 for this year has been used since the early medieval period, when the Anno Domini calendar era became the prevalent method in Europe for naming years. Hadrian was Roman emperor from 117 to 138. He was born Publius Aelius Hadrianus in Italica, near Santiponce, Spain into a Hispano-Roman family. 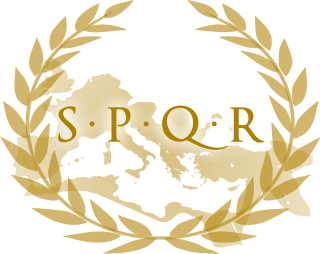 His father was of senatorial rank and was a first cousin of Emperor Trajan. He married Trajan's grand-niece Vibia Sabina early in his career, before Trajan became emperor and possibly at the behest of Trajan's wife Pompeia Plotina. Plotina and Trajan's close friend and adviser Lucius Licinius Sura were well disposed towards Hadrian. When Trajan died, his widow claimed that he had nominated Hadrian as emperor immediately before his death. Year 1287 (MCCLXXXVII) was a common year starting on Wednesday of the Julian calendar. Caligula was Roman emperor from AD 37 to AD 41. The son of the popular Roman general Germanicus and Augustus' granddaughter Agrippina the Elder, Caligula was born into the first ruling family of the Roman Empire, conventionally known as the Julio-Claudian dynasty. Germanicus' uncle and adoptive father, Tiberius, succeeded Augustus as emperor of Rome in AD 14. Year 817 (DCCCXVII) was a common year starting on Thursday of the Julian calendar. Saint Felician(us) of Foligno is the patron saint of Foligno. Francis de Sales was a Bishop of Geneva and is honored as a saint in the Catholic Church. He became noted for his deep faith and his gentle approach to the religious divisions in his land resulting from the Protestant Reformation. He is known also for his writings on the topic of spiritual direction and spiritual formation, particularly the Introduction to the Devout Life and the Treatise on the Love of God. The Pratulin Martyrs were a group of 13 Greek Catholic believers killed by the Imperial Russian Army on January 24, 1874, in the village of Pratulin, near Biała Podlaska. Following the secularization and de-legalization of the Eparchy of Chełm, the Russian authorities forcibly subdued all Greek Catholics in Congress Poland and their churches to the Russian Orthodox Church. Saint Babylas was a patriarch of Antioch (237–253), who died in prison during the Decian persecution. In the Eastern Orthodox Church and Eastern Catholic Churches of the Byzantine rite his feast day is September 4, in the Roman Rite, January 24. He has the distinction of being the first saint recorded as having had his remains moved or "translated" for religious purposes; a practice that was to become extremely common in later centuries. Saint Cadoc or Cadog was a 5th–6th-century Abbot of Llancarfan, near Cowbridge in Glamorganshire, Wales, a monastery famous from the era of the British church as a centre of learning, where Illtud spent the first period of his religious life under Cadoc's tutelage. Cadoc is credited with the establishment of many churches in Cornwall, Brittany Dyfed and Scotland. He is known as Cattwg Ddoeth, "the Wise", and a large collection of his maxims and moral sayings were included in Volume III of the Myvyrian Archaiology. He is listed in the 2004 edition of the Roman Martyrology under 21 September. His Norman-era "Life" is a hagiography of importance to the case for the historicity of Arthur as one of seven saints' lives that mention Arthur independently of Geoffrey of Monmouth's Historia Regum Britanniae. Exuperantius of Cingoli is a Roman Catholic saint who died in the 5th century. ↑ Leonhard Schmitz (1847). A History of Rome: From the Earliest Times to the Death of Commodus, A.D. 192. Harper & brothers. p. 439. ↑ Geoff Simons (20 January 2016). Saudi Arabia: The Shape of a Client Feudalism. Springer. p. 123. ISBN 978-0-333-99467-2. ↑ Lev, Yaacov (1988). "The Fāṭimids and Egypt 301-358/914-969". Arabica. 35 (2): 186–196. doi:10.1163/157005888X00332. ↑ Elizabeth Speller (14 October 2004). Following Hadrian: A Second-Century Journey Through the Roman Empire. Oxford University Press, USA. p. 1. ISBN 978-0-19-517613-1. ↑ Allen Kent (27 February 1985). Encyclopedia of Library and Information Science: Volume 38 - Supplement 3: Adams: Scott to Winckelmann: Johann Joachim. CRC Press. p. 71. ISBN 978-0-8247-2038-4. ↑ "Kia Vaughn Playerfile". WNBA. Retrieved 3 April 2019. ↑ "Ki Sung Yueng". Celtic F.C. Retrieved 3 April 2019. ↑ "A Princess Is Born". Website of the Danish Royal House. 24 January 2012. ↑ "Obituary for Captain Rosemary Bryant Mariner at Holley Gamble Funeral Home -Clinton". www.holleygamble.com. Retrieved 2019-02-01. Wikimedia Commons has media related to January 24 .